Online Casino – Online Casino games have become quite a thing in the web these past years and with an ever expanding market at their hands the traditional casino hosts began to explore the web. 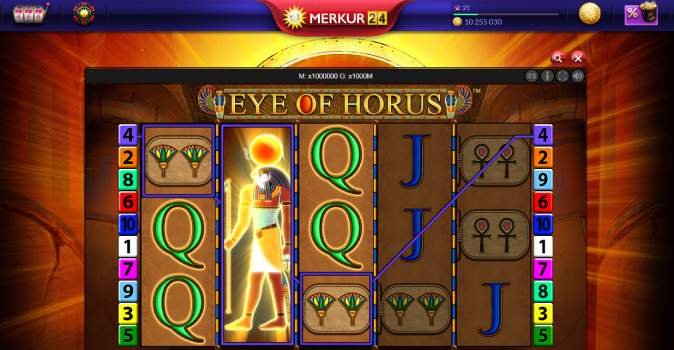 With Merkur24 one of the most prominent casino hosts around these parts has made its appearance for your browser. We checked this free to play title out and have quite a few things to report. The overall concept of Merkur24 is relatively easy to grasp. It is basically a gaming platform on which you can bet any amount of chips in a multitude of different gambling games. While there is no defined end game in this concept its more about the playing the different games themselves. 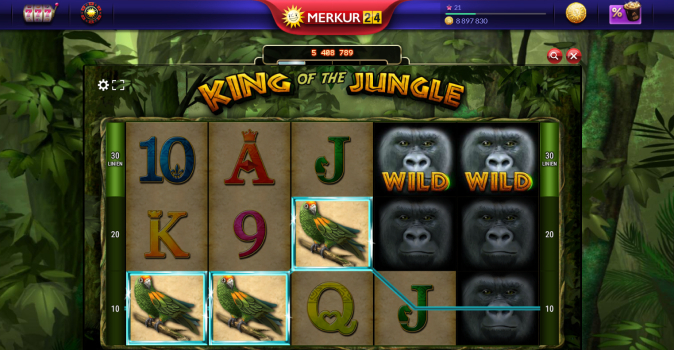 No matter if you enjoy card games, slots or roulette, Merkur24 provides a massive display of games. Spend your time on whatever you enjoy the most and earn big once fortune smiles on you. Once you started Merkur24 you will receive a warm welcome and a load of chips to spend. So where do you start? Well, that is indeed a good question because our initial response was a mix between shock and awe. The whole screen was clustered with games, panels and places in which we could try our luck. What seemed overwhelming at first became quite intuitive later on. Several categories of games are waiting and whenever you play you receive some form of experience. A currency with which you can level up your account, resulting in huge pay offs whenever you hit a new level. In this regard we simply had to keep going. Well, while it is not really surprising that a casino platform provides a lot of games it sure was surprising to see such a huge amount of games at our disposal. 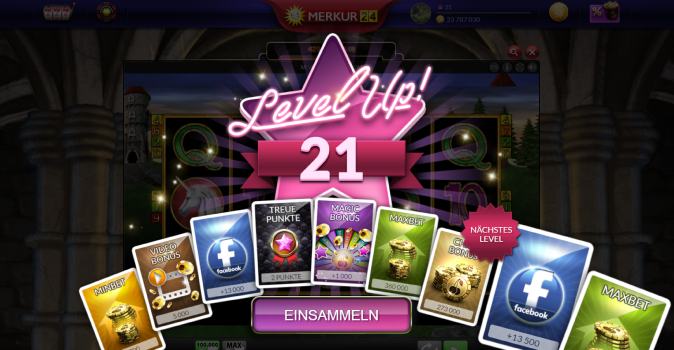 Some of us really wanted to try out the card games and no matter if you enjoy black jack, poker or whatnot – you will find it on Merkur24. Later on we spend hours on different slot machines and eventually even won our first relatively huge game. Quite the rewarding feeling honestly. Up until that point we didn’t even spend our initial bag of chips yet. A good thing to keep in mind because it indicates that despite being able to buy yourself more currency when you feel like it, it is absolutely not mandatory and you can enjoy all of these games for free. Aside from the already existing portfolio players will eventually notice that this platform is always in change. New games are being introduced at a neat pace and the overall vibe we got from playing our fair share of games on Merkur24 was that this site is ever expanding. While you obviously can’t always be lucky, some players have been and won quite a few things already. VR goggles, Hi-Fi equipment and other goodies are handed out at a regular rate, indicating that this online casino is definitely one of the more serious ones. Free to play: Just sign up once and you’re good to go. 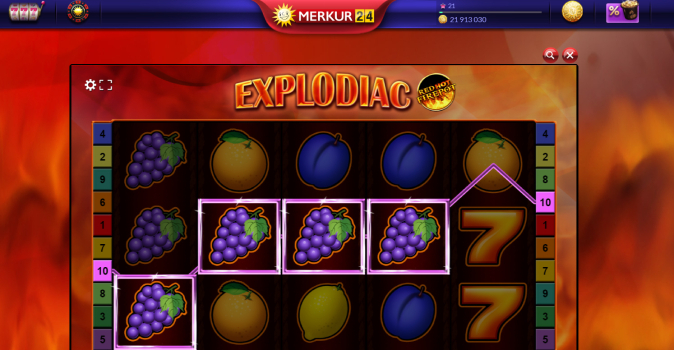 Merkur24 is a casino platform on which you can play without paying a cent. Intriguing intro: Aside from a huge pile of starting cash you can win big right from the get go. Tons of games: Dozens of games await you. Slots, Poker, you name it, you play it. Constantly evolving: This game is in constant developement as new games and features are introduced on a regular basis.